Flying solo can be harder than it looks ... A warm-hearted rural romance about finding your way home. Flying solo for the first time had been the greatest high of Anna Kelly's life. So when the chance of a dream job as a pilot with the Royal Flying Doctor Service comes up she tak... read full description below. Flying solo can be harder than it looks ... A warm-hearted rural romance about finding your way home. Flying solo for the first time had been the greatest high of Anna Kelly's life. So when the chance of a dream job as a pilot with the Royal Flying Doctor Service comes up she takes it, even though she has to leave her home in Adelaide and move to remote Broken Hill - a place she had hoped she would never see again. 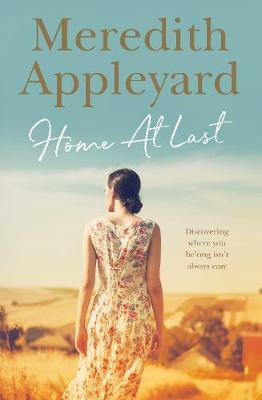 The bad memories the town provokes remind Anna why she keeps men at arm's length but as her work proves fulfilling, her housemate becomes a friend and a warm community grows around her, Anna is surprised to discover that Broken Hill is starting to feel like home. But there is no such thing as plain sailing and with errant mothers, vengeful ex-patients and determined exes on the prowl, life is becoming increasingly complicated. More than that, the distractingly attractive Flight Nurse Nick Harrison seems keen to get to know her better, and he has a way of finding a path through her defences. But will he still want her if the truth comes out?